I did have trouble with this object. I think it is the weakest of the pieces. This object (unlike the others) doesn’t have a door or window, although you can pull off the grating with a pair of pliers. 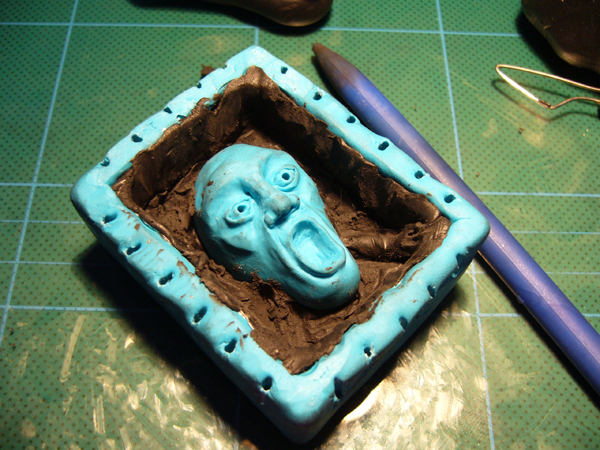 I constructed a box from card and foil and covered the card in turquoise fimo. 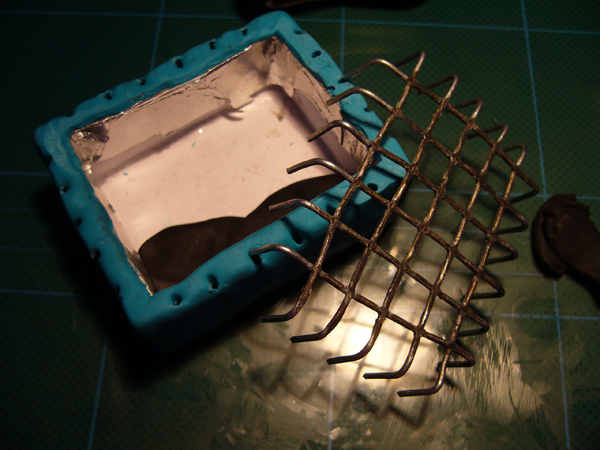 I made a grating using the hot weld machine in the workshop. It smells really nice like fireworks when you use it. 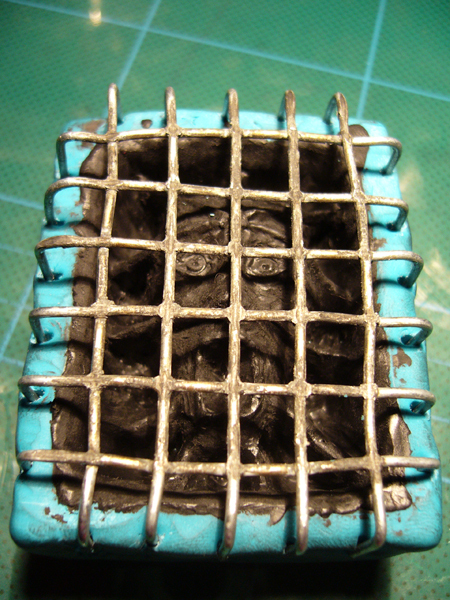 I baked the turquoise layer with the grating in place. 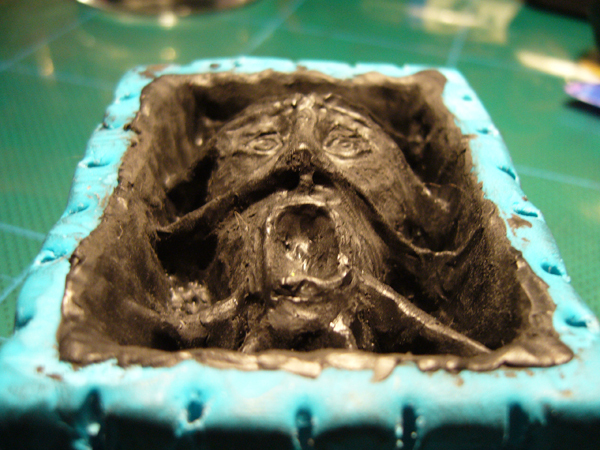 Pic 1 – Baked turquoise layer and grating removed after baking, start of black fimo layer.